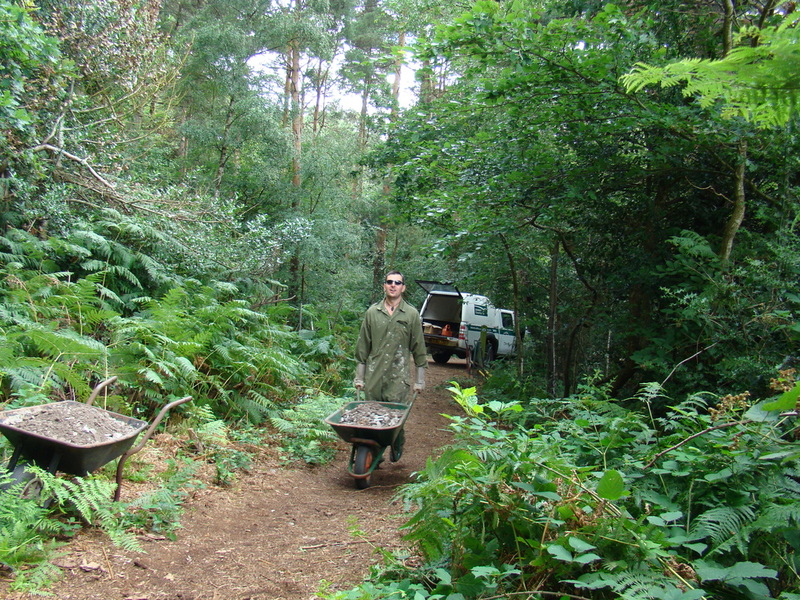 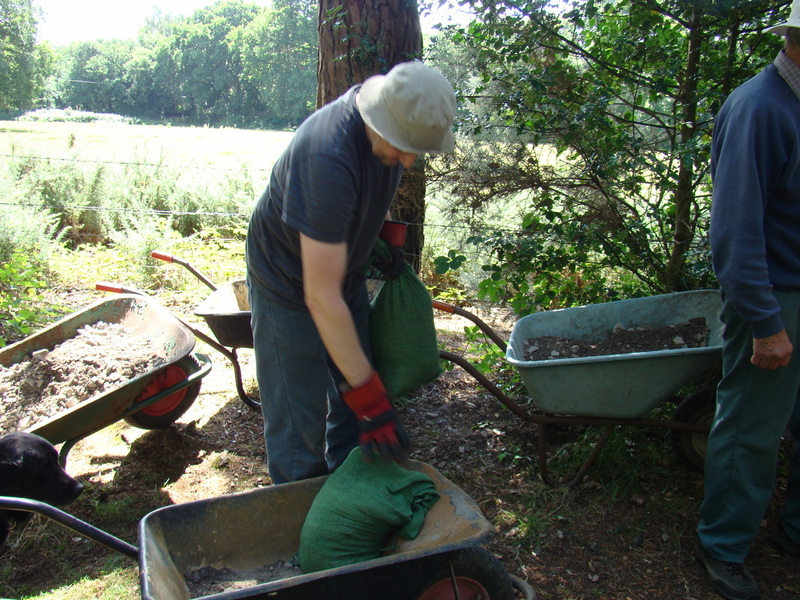 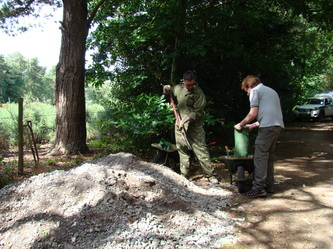 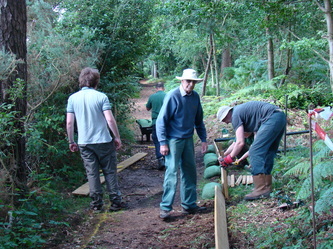 Working with Paul Jones Dorset countryside Ranger, a heroic band of volunteers moved over 3 tons of limestone scalpings to build up 3 sections of the bridleway in Cannon Hill (South) that become impassable in bad weather. 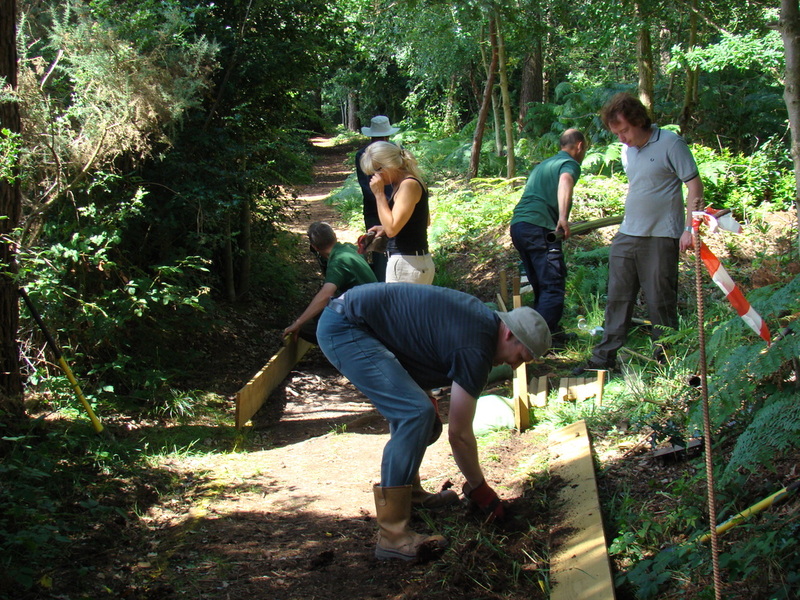 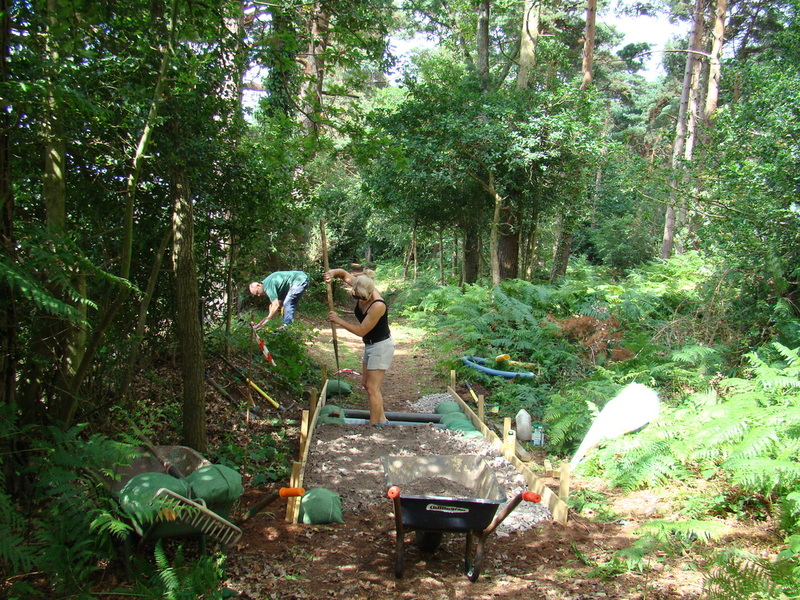 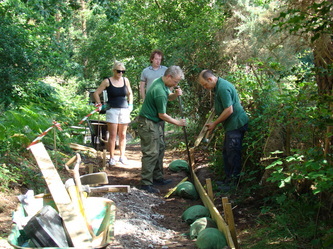 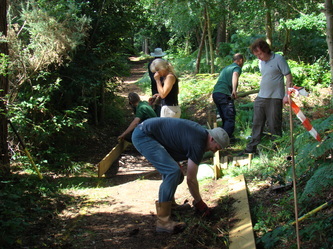 Revetment boards were installed with drainage pipes running through them. 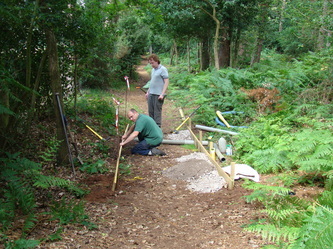 The path surface was then built up with the scalpings. 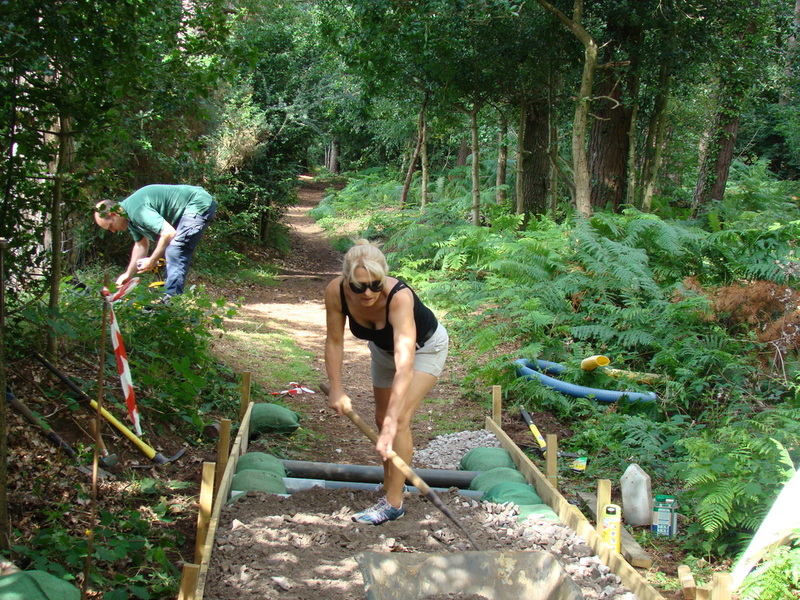 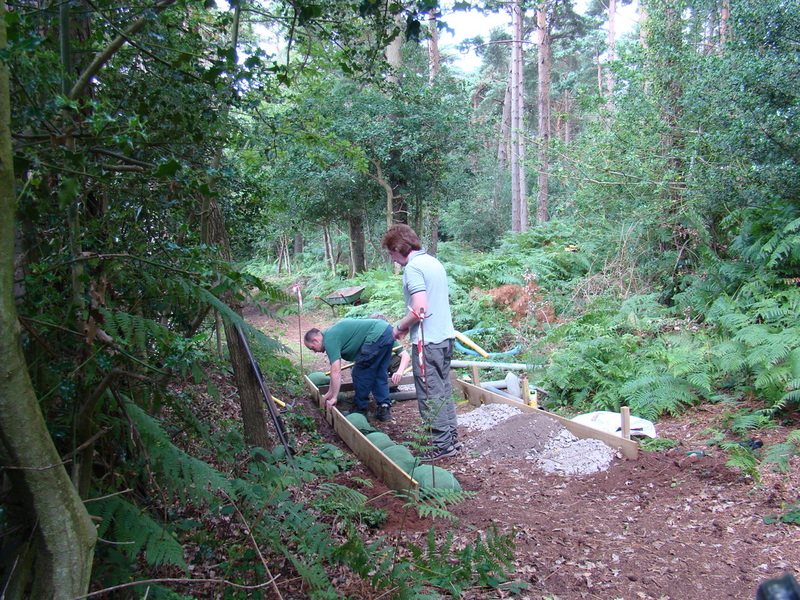 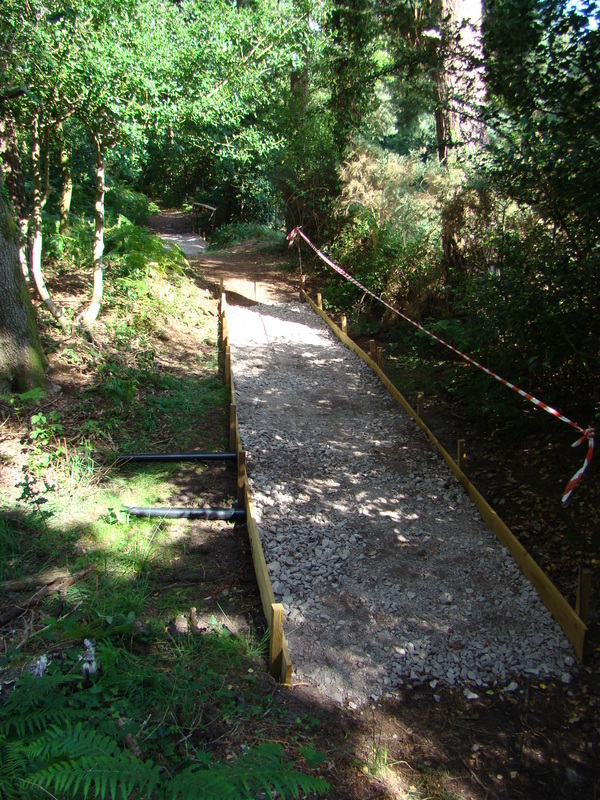 Although some flooding of the path is still likely in really wet times, there will be a hard surface in all weathers, particularly handy for those with push chairs and mobility scooters. 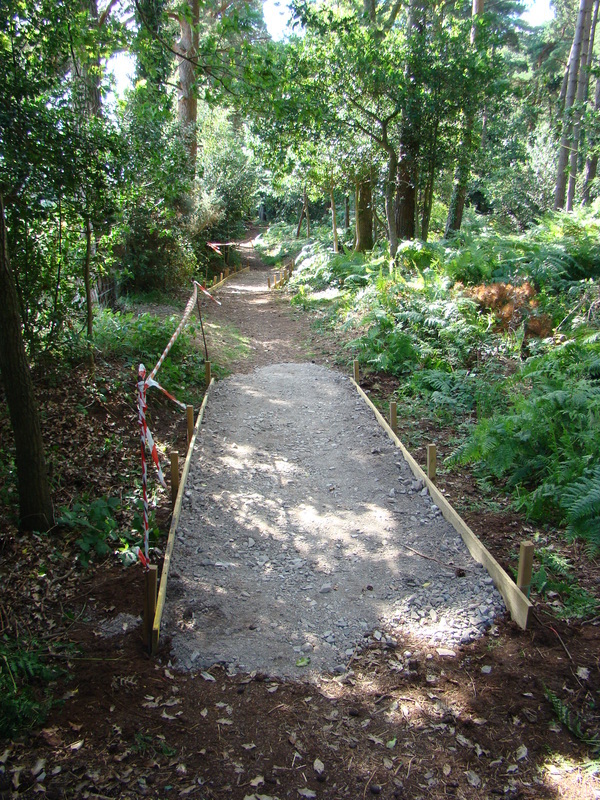 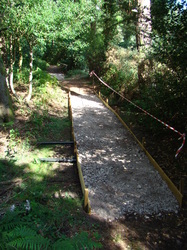 There are still a few finishing touches to be completed, but the path is definitely open for business. 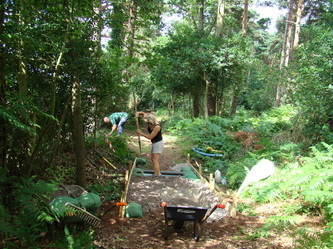 The path surfacing was not the only work done that day, overhanging vegetation was cleared from the access path to the road bridge. 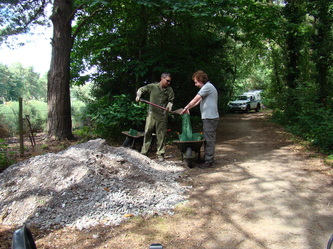 It may only have been a small team this time, but a great deal was achieved! 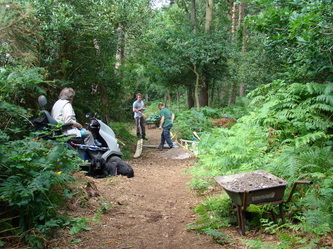 As we were packing up we were stopped by a lady who wanted to thank us for making it possible for her to walk a circular route in the winter. 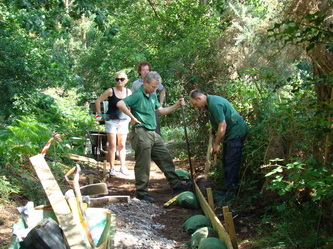 A big thank you to all that helped today, your efforts have already been noticed and appreciated!